Our local news did a segment alleging that many land owners were taking advantage of people through the use of Real Estate Contracts. The segment was completely biased and unfair. The truth is that if these individuals had gone through the correct process they could have avoided these unfair situations entirely. Always Use a Realtor & Title Company. 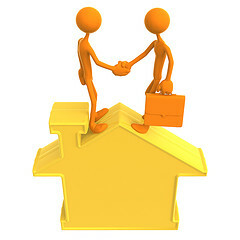 When you buy or sell using a Real Estate Contract you should always use a realtor and close through a title company. The title company will make sure that there are no liens on the property and find out if the person selling the property is actually the owner. Next, I would always recommend using an escrow agent. The fees to the escrow agent are very minimal and they make sure that both parties are abiding by the terms of the contract. In the news segment, the buyers did not close through a title company, they did not use an escrow agent and they even admitted that they didn’t understand the contracts that they were signing. http://www.kob.com/article/stories/s2979752.shtml.